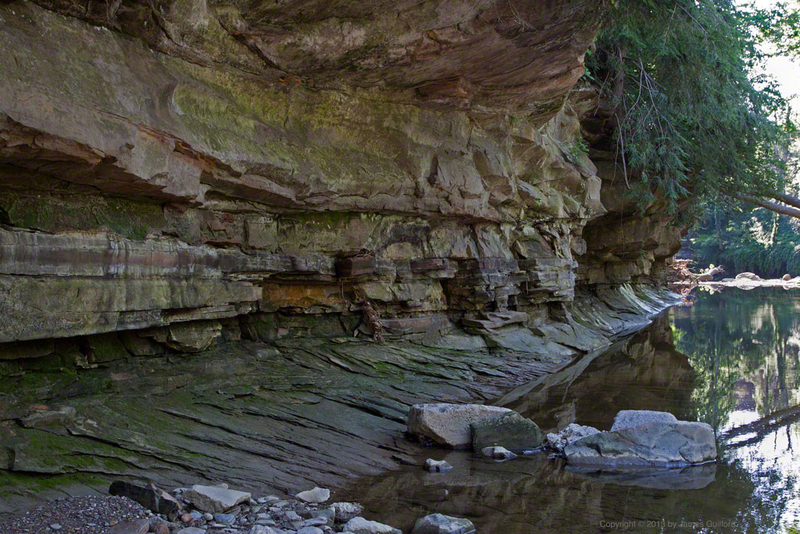 A cool and ancient place is this: the deeply-undercut, rocky gorge of Chippewa Creek in Brecksville. The stream has run through this area for untold eons and has, in places, worn deep troughs through solid rock — passages for its waters. On a day like this the shadows of the rock walls offer some relief from the heat and humidity of the new summer. The curve of the creek promises new discoveries around the bend.